Scott D. Goldman is the managing member of Goldman Law, LLC. Mr. Goldman founded Goldman Law, LLC on the principle that everyone deserves professional and ethical representation. Scott was born in Detroit, MI and lived there for 26 years before moving to Denver, Colorado for better weather and great skiing. Scott is a Colorado Lawyer that has practice that focuses primarily on family law issues such as divorce and child custody. 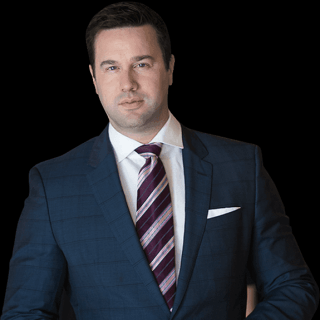 Scott will take the time to explain your case to you to ensure you are fully aware of what is going on in your case. Scott’s experience with jury trials and bench trials enable the client to have confidence that he is the right attorney for them. If you're looking for someone who will fight for you and your family look no further than Scott Goldman. Goldman Law, LLC firm exists to support individuals who are going through the divorce process. If you are in the middle of a divorce and are wondering where you can find the representation and support you need at this pivotal time in your life, seek out the support of a Denver divorce lawyer at this office. The team here has experience with property division complications and spousal support matters. Moreover, if you are interested in learning more about legal separation or annulment, you can learn about those processes when you come to this firm. If children are involved in the picture, it is imperative that you take the necessary time in formulating a workable and suitable parenting plan. Ask an attorney here to assist you with child support and child custody issues. You can also receive the help you need in regards to the adoption process or in working through guardianship complications. For more information, contact this law firm today. Law Hour - Legal issues that are involved in mentoring, adopting, and general child custody situations.